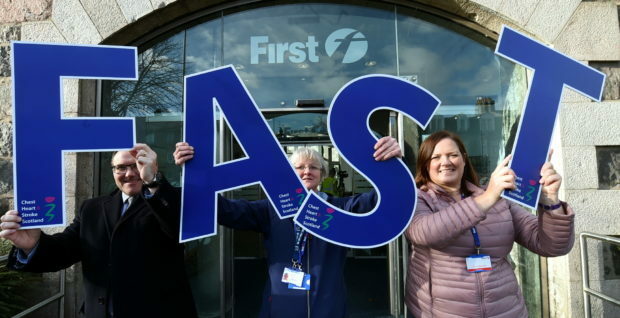 North-east bus drivers will be taught to recognise the signs of stroke as part of a major campaign to help save lives. Working with NHS Grampian and charity Chest Heart & Stroke Scotland (CHSS), First Aberdeen is incorporating the FAST message into its driver training scheme. 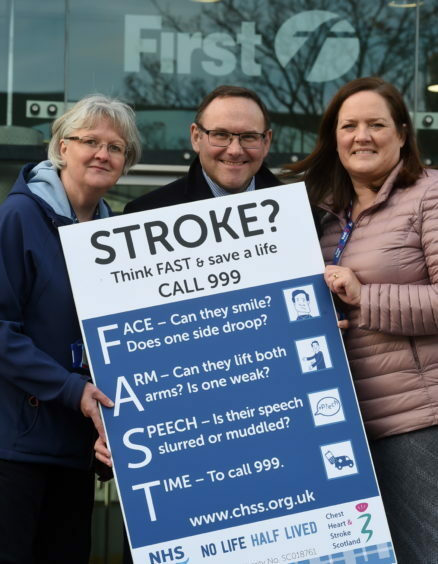 Standing for Face, Arm, Speech and Time, it covers the main symptoms that people should be on the lookout for if they suspect someone is having a stroke. More than 9,000 Scots have a stroke each year and it is hoped the campaign will help people to recognise what is happening faster so that they can, in turn, get them medical help sooner. Therese Lebedis, stroke managed clinical network lead for NHS Grampian said: “A stroke often happens out of the blue, without warning, and is caused by an interruption of the blood flow to the brain, by either a blood clot or burst blood vessel. “There are obvious symptoms to watch out for – can they smile, does one side of their face droop, can they raise both arms and keep them there? “Slurred or muddled speech is another symptom, as well as visual problems, dizziness, headache and loss of balance. The Fast message will also be displayed on notice boards and bus tickets on vehicles, to further raise awareness to passengers. First Aberdeen operations director David Phillips said: “This is a very worthwhile campaign. “Stroke is a serious issue and one we are proud to raise awareness of here at First Aberdeen, among our staff and our customers.